Newton resident Tony Fuller is feeling the heat from his neighbours after his dog escaped from his yard and ran at a mail carrier. Newton resident Tony Fuller is feeling the heat from his neighbours. 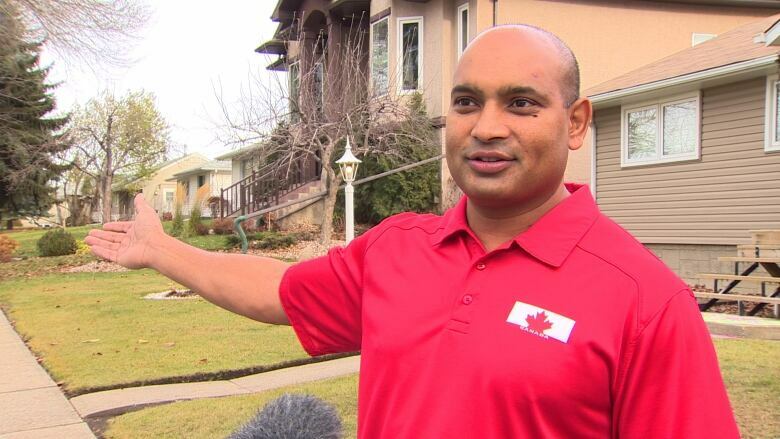 His pit bull terrier got loose recently and rushed at a letter carrier, prompting Canada Post to halt mail delivery to the entire street. Fuller said it wasn't his fault. "Apparently, some kid let my dog out and she barked at the mailman and the mailman yelled," he said. "I can't help it that some kid let my dog out. And the dog only barked at him." Rakesh Prasad has lived on the street for 18 years and until this year has never seen mail service disrupted. (CBC)His neighbour, Anthony Stan, is frustrated. "He just says, 'Sorry', but I say sorry is not enough, it's not fixing the problem." It's the second time this year unruly dogs have disrupted mail delivery on the northeast Edmonton street. In June, a postal carrier was bitten by two pit bulls not far from Fuller's home. Glen Farmer, who lives nearby, said he was almost bitten that day too. "I worry about the kids, because a kid would never have survived an attack like that," he said. "It only takes 30 seconds." Neighbour Rakesh Prasad said pet owners on the street need to take more responsibility. "I've been involved with the community for 14 years and we've never seen anything like this," he said. "What's happened is unbelievable, a huge inconvenience. Because right now I don't have mail, and the mail was supposed to come and you know how things get done. But I haven't had mail for over a week." Another neighbour, Mark Monaghan, who owns a pit bull himself, moved into a home on the street a little more than two months ago. He said he can't believe service was suspended to the entire street. "It's kind of ridiculous," he said. "A whole community has to suffer for one person's stupidity?" He said the owners of the dog should be fined and the mail continue. 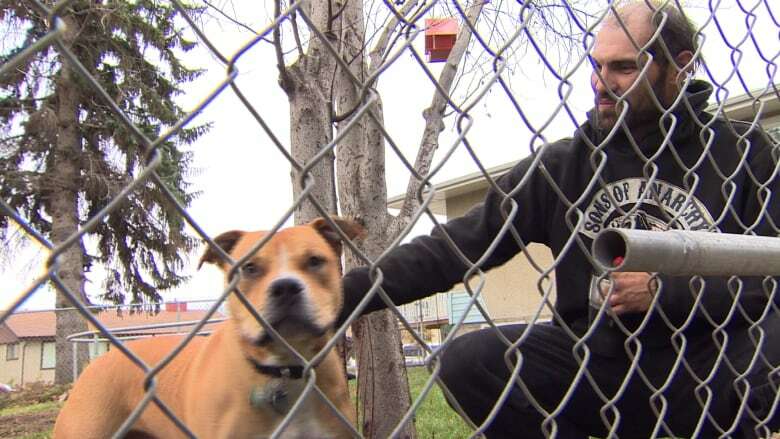 Canada Post spokesman John Caines said mail delivery on the street will not resume until Fuller signs a guarantee his dogs will be locked up between 9 a.m. and 5 p.m.
"One incident is one too many as far as we're concerned, and this happens up to 500 times a year," he said. "And really, it boils down to responsible pet ownership." Fuller said he has signed and mailed such a letter and was told Canada Post will soon restore service.